Azula is named for the volatile fire bender from Season 1 of the Avatar. 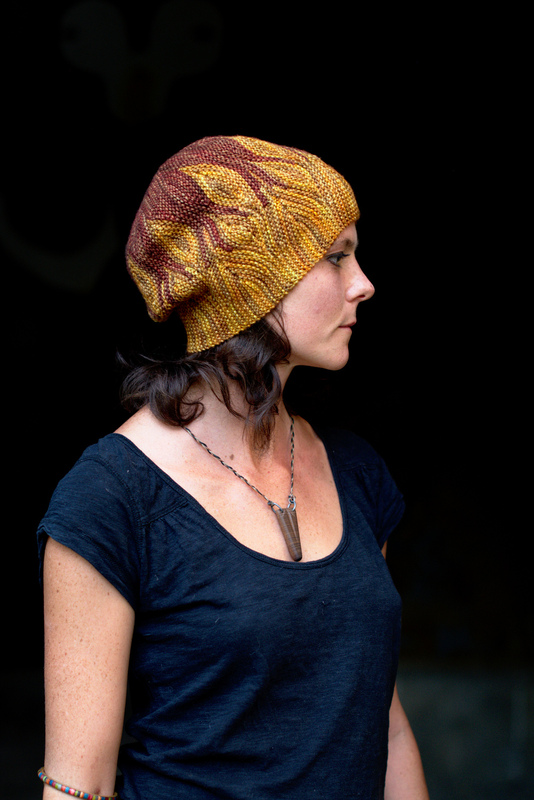 Flames twist and turn around the body of the Hat, with each form created by short rows and just a hint of garter stitch intarsia. Azula is the most challenging of the Elemental Hats, and is very much worthy of your patience.